Good morning darlings! Totally missed posting Mani Monday yesterday, I'm blaming spending the weekend with my husband for our first wedding anniversary. It was fantastic and delicious as we spent most of it eating at a few of our favorite places in between running errands. It was fun & it was relaxing and everything I could hope for in our first wedding anniversary. For this week's manicure I'm giving the credit to my husband, it was his idea to do this combination with the matte top coat and I have to admit it came out pretty stunning! 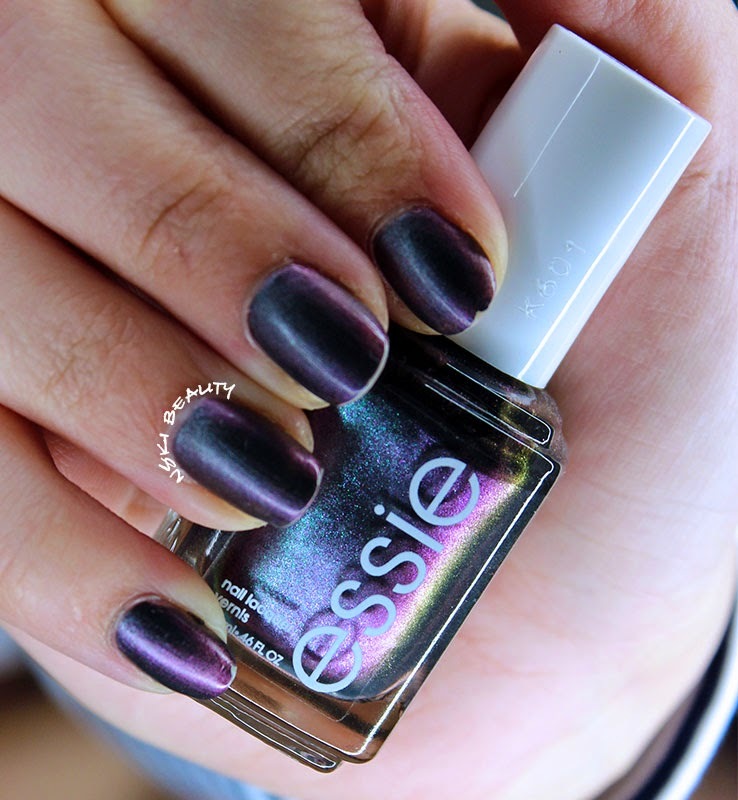 Essie's For The Twill Of It was pretty popular last year and it really is an amazing fall color. Just look at all the colors packed into that bottle. Plus I'm such a sucker for matte finished shimmer polishes so I was extremely please with the results on this manicure. As always I used my favorite matte top coat, NYC New York Color Matte Me Crazy. 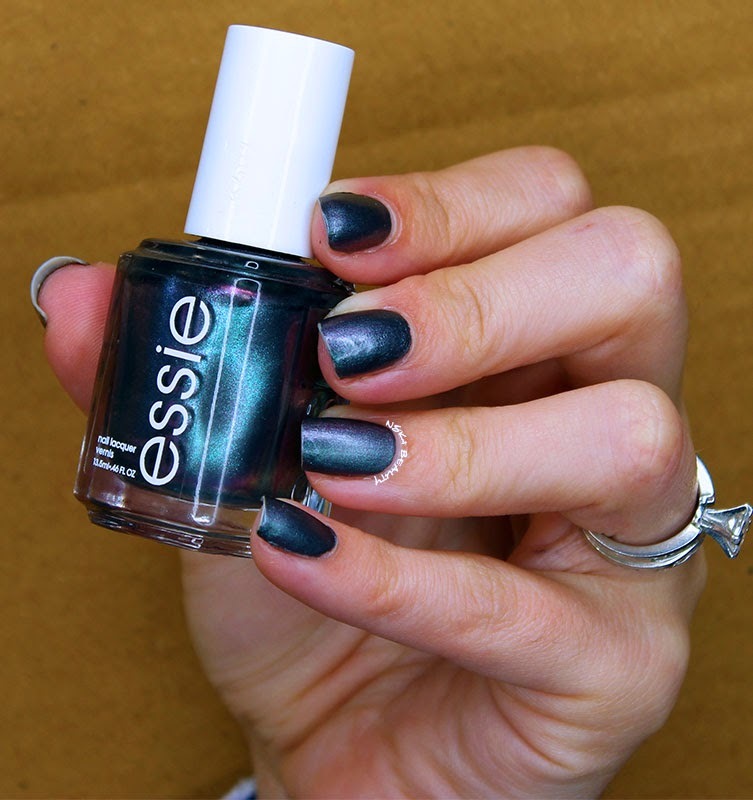 It seriously is the perfect matte polish and such an amazing price tag! Love how that blue has an iridescent finish. It almost has the look of a peacock feather! What gorgeous opalescence this treatment has! 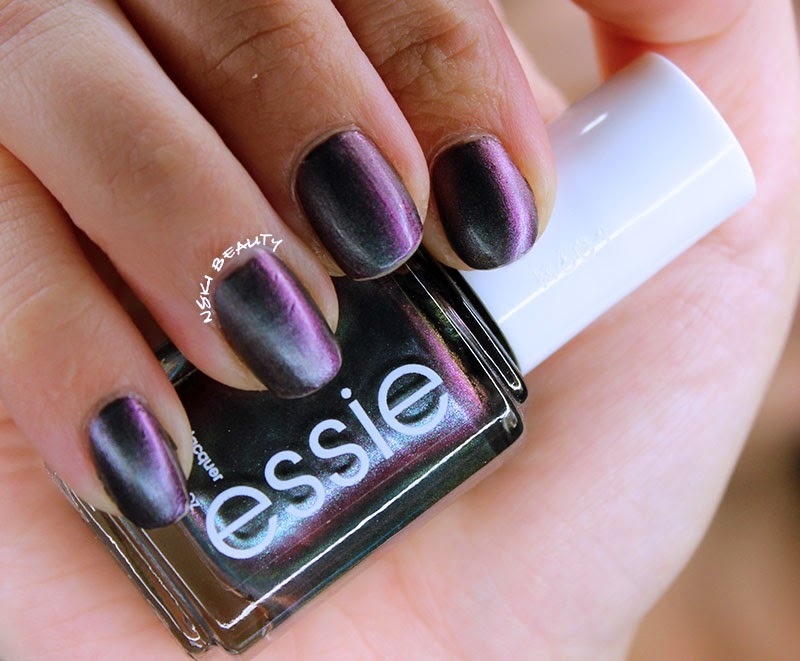 I love how light Essie shades wear for easy layering! I once had a suit that color blue - it was one of my favorites. I guess I'll always be partial to shiny nails. I've not heard of matte polish. I always learn something here. Very pretty. I love the blue one at the top! I really love the finish! I need a new mani/pedi. I think I will try the first color on my toes. 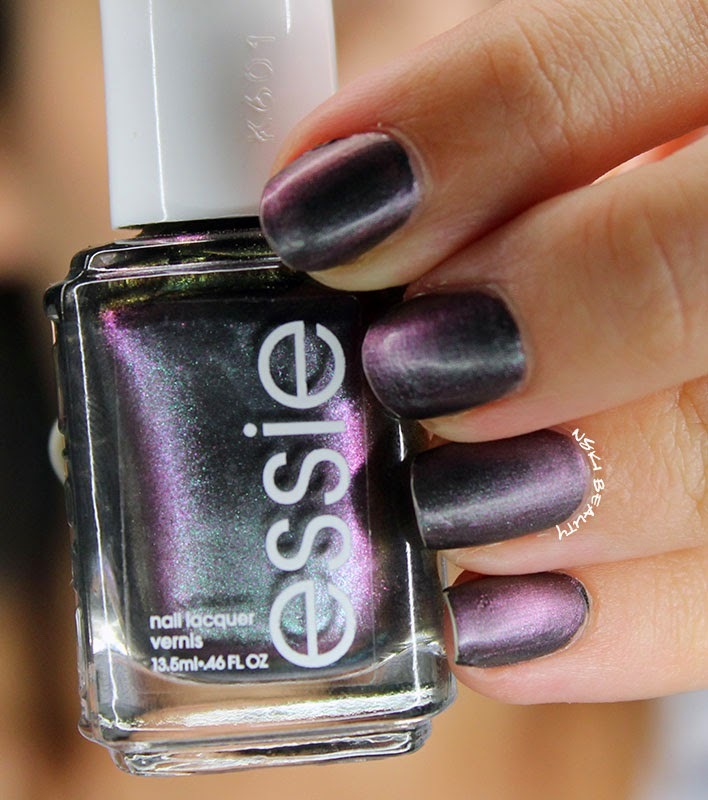 That purple is JUST the perfect shade. Not scary purple but not black. Thanks for the color tips.